Spark your child's imagination with this whimsical pattern. 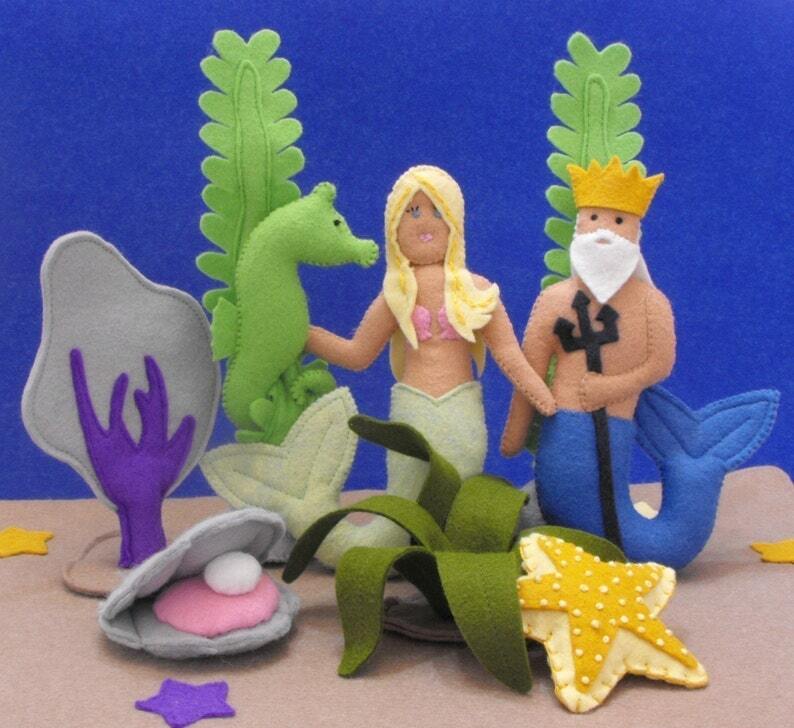 Neptune and a beautiful mermaid have endless adventures with their friends Clam, Seahorse and Starfish. When playtime is done- everything stores conveniently in the tote. Sure to provide hours of open ended play.